Representing the 48 men and women that proudly serve the citizens of Arcadia since 1909. Happy Thanksgiving from the Arcadia Firefighters! 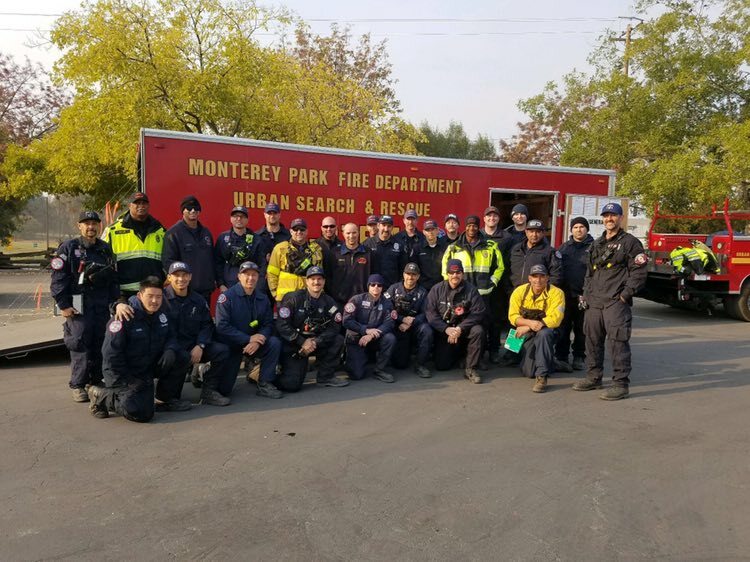 While 17 of us are stationed in Arcadia today, 4 of our members are spending this Thanksgiving at the Camp Fire continuing the search efforts along with many other search & rescue teams. While 17 of us are stationed in Arcadia today, 4 of our members are spending this Thanksgiving at the Camp Fire continuing the search efforts along with many other search & rescue teams. Our hearts go out to those affected by this devastating tragedy, those that have lost friends, family, & homes. We are proud to join the fight and support #BreastCancerAwareness as well as awareness for cancer of all kinds. We are proud to join the fight and support #BreastCancerAwareness as well as awareness for cancer of all kinds. We have more than a dozen staff currently battling various forms of this terrible disease, and we are proud to stand with them and let them know they are not alone in this. 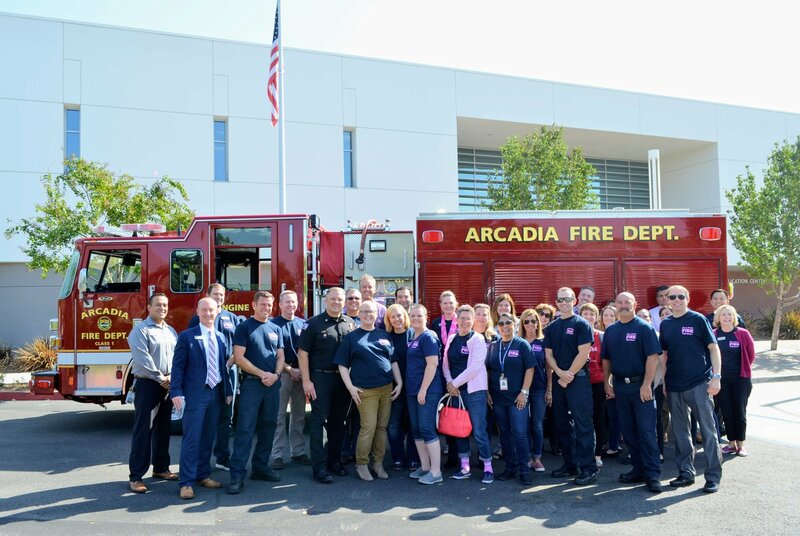 Our Arcadia Fire Department was kind enough to pick up four of our staff today who are fighting breast cancer and take them for a ride around the block in Engine Co. 105! Thanks so much to our Arcadia Firefighters for supporting the cause and for the wonderful fundraiser they are conducting for the City of Hope's breast cancer research. Let's work to #ImagineInquireInspire for a cure! To anyone currently battling cancer--you've got this! Since 1954, IAFF members have shown an unwavering commitment to defeating muscular dystrophy and related life-threatening diseases. Since 1954, IAFF members have shown an unwavering commitment to defeating muscular dystrophy and related life-threatening diseases. Funds are raised primarily through MDA’s signature Fill the Boot ® campaign, in which member fire fighters gather on streets across the country collecting money in their boots from neighbors and passersby. For 60 years strong, our nation’s heroes have raised more than $558 million to save and improve lives of families fighting muscle disease. Dollars collected in boots throughout the decades are translating into game-changing research progress today.